He tells the story of his life from his earliest recollections, remarkable, because of his facility of total recall of conversations and details of situations. It is a very human story told with complete unselfconsciousness and lack of pretentiousness. 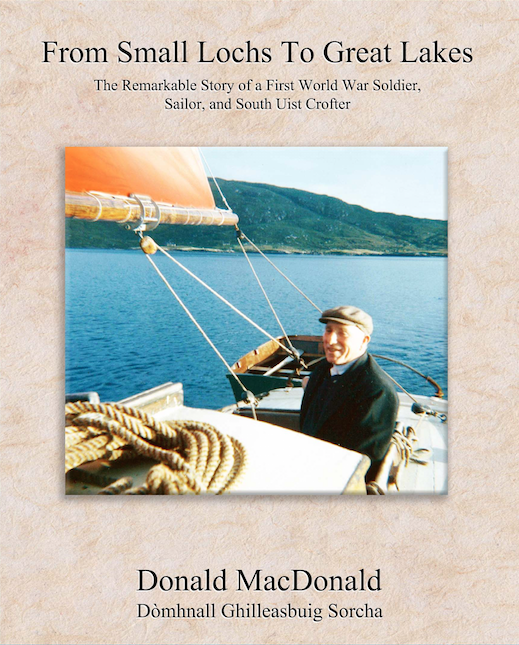 His memoirs reflect authentic old themes in an honest and original way, his Uist childhood is fascinating and can be looked upon as a contribution to the social history of the island. The varied experiences of his long life are absorbing.